iTunes is possibly the first software service that allowed users to manage their media files. In addition to media management, iTunes is also a media player, media library, Internet radio broadcaster, and mobile device management application. Well, if you have been scouting for some of the best iTunes alternatives, then this article might help you. 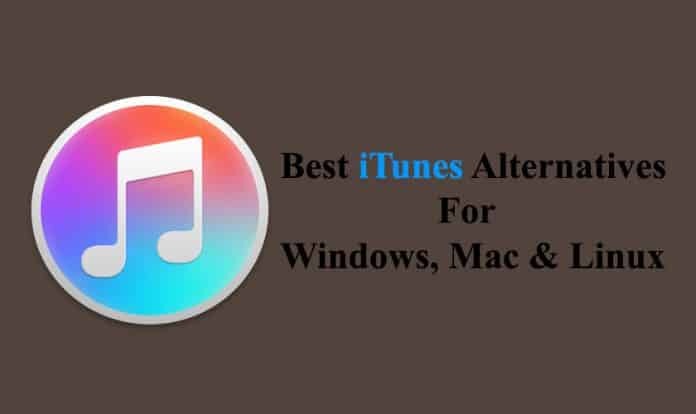 So in no particular order, these are the best iTunes alternatives that are worth checking out. The first best iTunes alternative on the list is MusicBee. This iTunes alternative offers a very well developed interface that looks somewhat similar to iTunes. 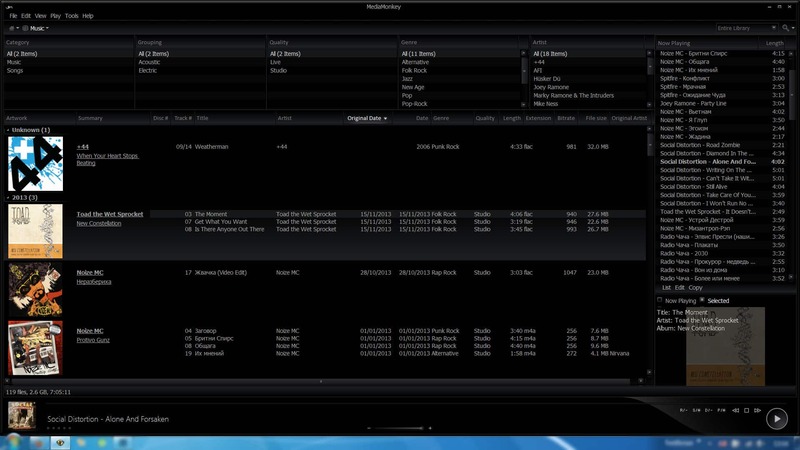 In addition to being a feature-rich music player, you can also use MusicBee as a music management tool. Logarithmic volume scaling, support for WinAmp plugins, and a 15-band equalizer are some of the nifty features that MusicBee offers. Many popular music streaming services like Groove Music and last.fm are natively supported by MusicBee. It is worth noting that, MusicBee is not available for MacOS. Overall, MusicBee is a feature-rich, free to use and highly customizable iTunes alternative that you should definitely check out. MediaMonkey is another great alternative to iTunes for music management. Using MediaMonkey you can easily sync your music to iOS devices. MediaMonkey is designed for audio enthusiasts with extensive music libraries. Furthermore, Media Monkey supports a plethora of music formats including FLAC music format. The Auto-DJ & Party Mode smartly shuffles your music eliminating the need of doing it manually. Similar to MusicBee, MediaMonkey is also available only for Windows and you can upgrade to the Gold version for some more features. If you still use your iPod for enjoying music then PodTrans is the iTunes alternative that you should check out. As the name of this iTunes alternative suggests, it helps you to seamlessly transfer music from your desktop computer to your iPod. The simple and easy to navigate UI makes transferring music files a breeze. Moreover, if you own an iPod with a retina display you can even use PodTrans to transfer videos, images, and all sort of media files. One of the major downsides of using iTunes on a low-end Windows computer is poor performance. Well, if iTunes seems to be a bit laggy on your Windows computer you can use WinX MediaTrans. This iTunes alternative requires comparatively fewer resources for its proper functioning. 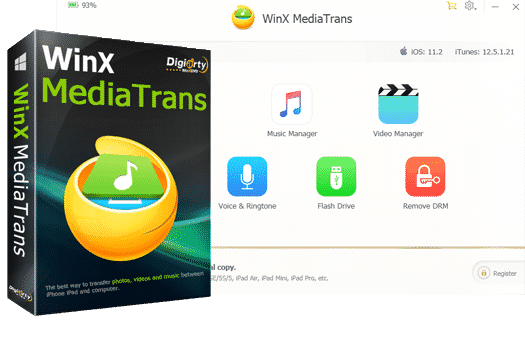 WinX MediaTrans offers many nifty features like video converter and ringtone maker. Lastly, the user-friendly interface makes transferring media content to iOS devices fairly simple. 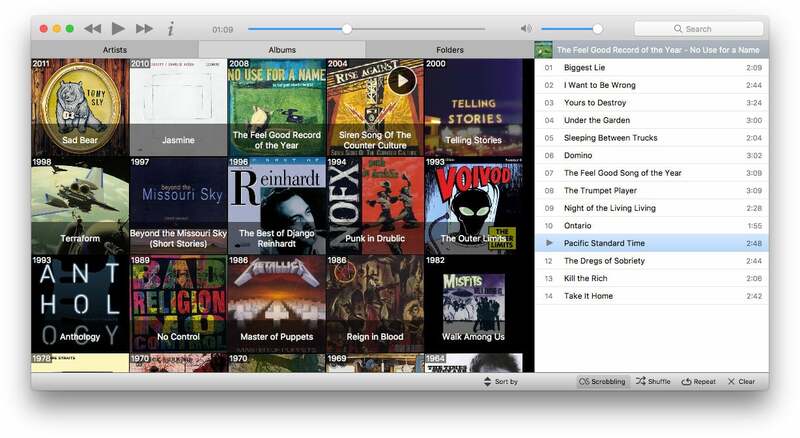 The next feature-rich iTunes alternative on the list is Foobar2000. If customization is your primary concern then Foobar200 won’t disappoint you. Initially, this iTunes alternative may seem to be a minimal music player, but ones you start customizing it with skins and different panel organization your setup won’t match with anyone else’s. In addition to customization, Foobar2000 also offers a plethora of plugins and advanced playback options. Lastly, Foobar2000 supports every major music format. Vox Media Player is a feature-rich media player for MacOS and iOS. This iTunes alternative has a very well-developed and easy to navigate UI. Furthermore, Vox Media Player supports every popular music format including FLAC. Full SoundCloud integration, 30’000+ Radio stations, and Youtube support on Vox Media Player ensure that you never run out of music. 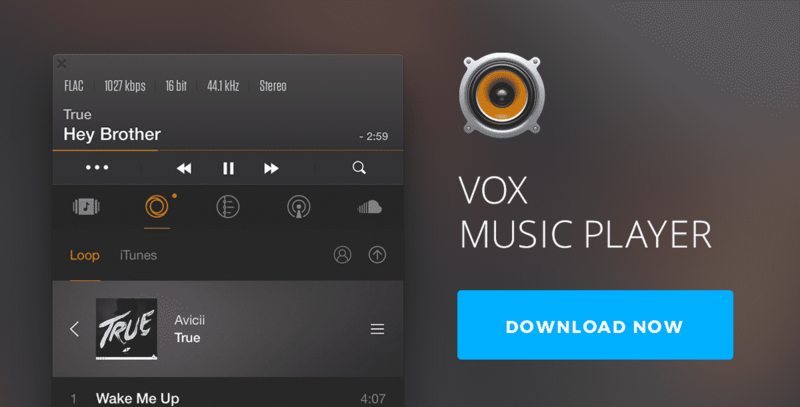 Overall Vox Media Player is a great alternative to iTunes that simply gets the job done. The next best iTunes alternative on the list is Musique.Musique nicely organizes music files based on artists and albums. Unlike other iTunes alternatives on the list, Musique consumes comparatively fewer resources. 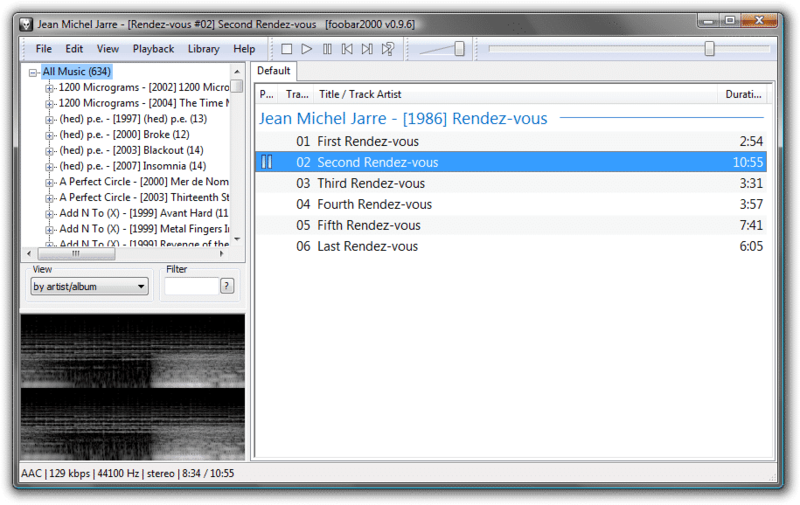 Musique also displays lyrics for songs in the info view. 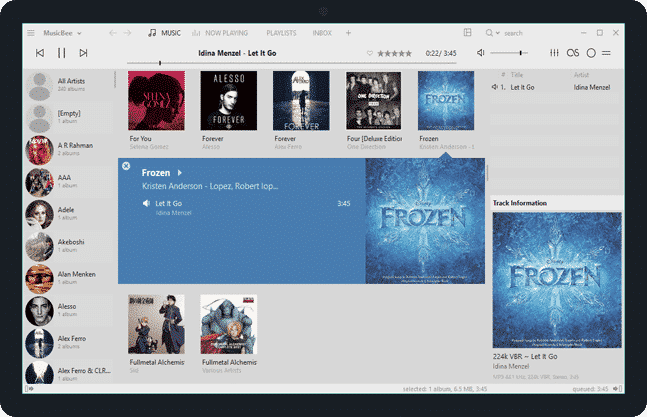 Overall, Musique is a simple, elegant and opinionated music player. 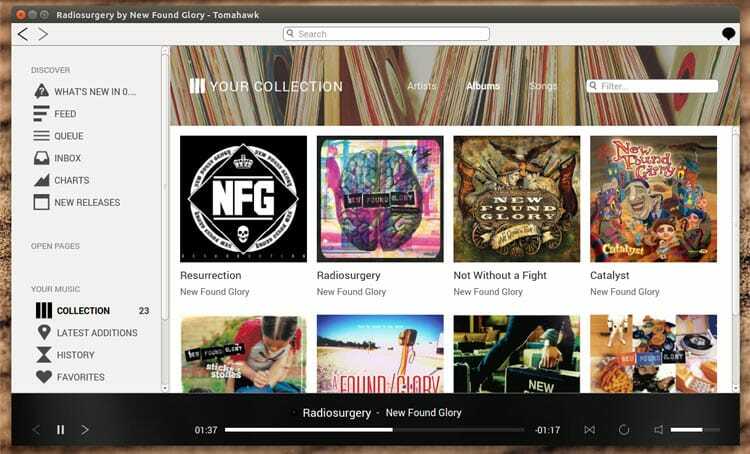 If you want to stream music from major streaming service using a separate music player then Tomahawk might help you. Tomahawk supports every major music streaming service like YouTube, Spotify, Rhapsody, Tidal, Amazon Music, Google Play Music, OwnCloud, Subsonic, Jamendo, and Bandcamp. As for downsides, Tomahawk is not available for iOS devices. Lastly, Tomahawk can also plug into social tools like like Jabber and Hatchet. 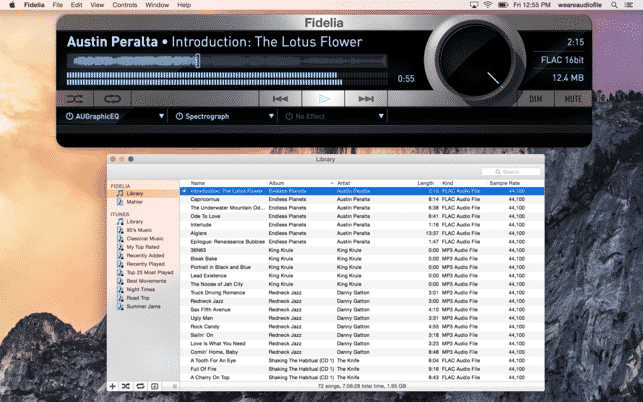 Fidelia is a comparatively newer music player that is exclusively available for MacOS. This iTunes alternative offers high-definition audio playback and supports every major music format including FLAC. In addition to that, Fidelia also has reliable music organization tools. You can also install third-party Audio Unit plug-ins to enrich your music listening experience. 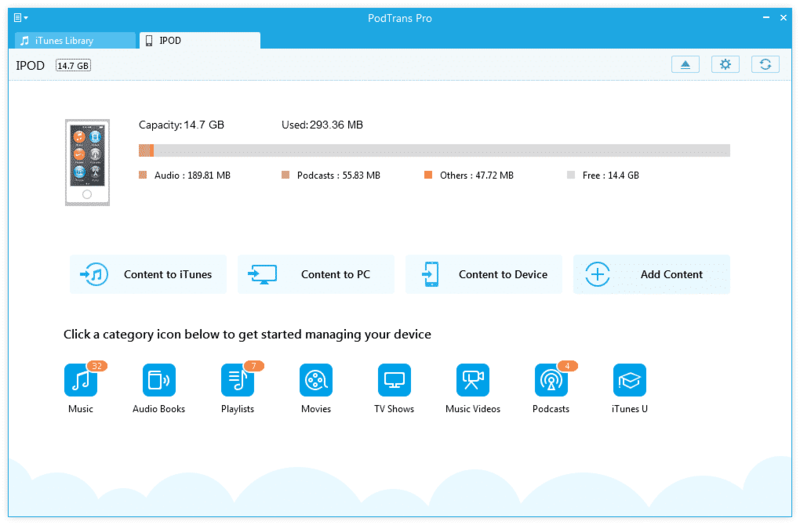 Overall Fidelia is a reliable alternative to iTunes that simply gets the job done. The last best iTunes alternative on the list is Swinsian. Similar to Fidelia, Swinsian is exclusively available for MacOS. Swinsian is a sophisticated music player that offers wide format support, folder watching, and advanced tag editing. Swinsian also offers customization tools that enrich the overall experience and makes it easier to navigate through music files. So these were some of the best iTunes alternatives that are worth checking out. Do share any other personal recommendations for the best iTunes alternatives in the comments section below.